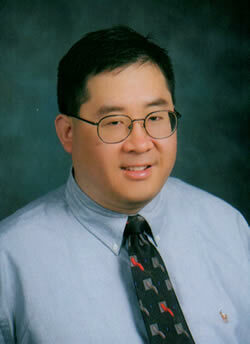 Dr. Dennis Min is a board certified clinical gastroenterologist and internist in the southwest Ohio region. He graduated from Oklahoma State University College of Osteopathic Medicine. Afterwards, he completed an Internal Medicine Track internship and residency at Pontiac Osteopathic Hospital in Pontiac, Michigan. Then, he finished a gastroenterology fellowship with the St. John Health System in Michigan prior to starting a private solo gastroenterology practice in the Middletown, Ohio region. Dr. Min's clinical interests include all aspects of functional bowel conditions especially irritable bowel syndrome, gastroparesis, and gastroesophageal reflux disease. In addition, his passion expands into the field of viral hepatitis, Celiac disease, H. pylori, complications of cirrhosis, and enteropathies. He regularly spends time in teaching residents and students, promoting disease awareness among Chinese Americans, and hosting discussions of gastroenteorological topics with local peers. Currently, Dr. Min serves as an official speaker with various pharmaceutical corporations as well as a clinical assistant professor with the Ohio University Heritage College of Osteopathic Medicine and A.T. Still University School of Osteopathic Medicine in Arizona.